Not all stormtroopers are bad guys. 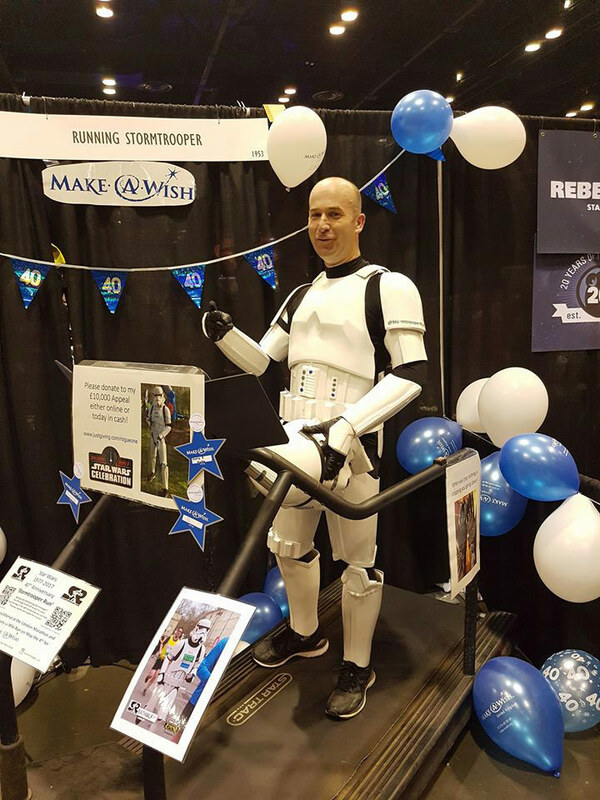 In a special Global Running Day feature, StarWars.com talks to the running stormtrooper about his latest fundraising races. 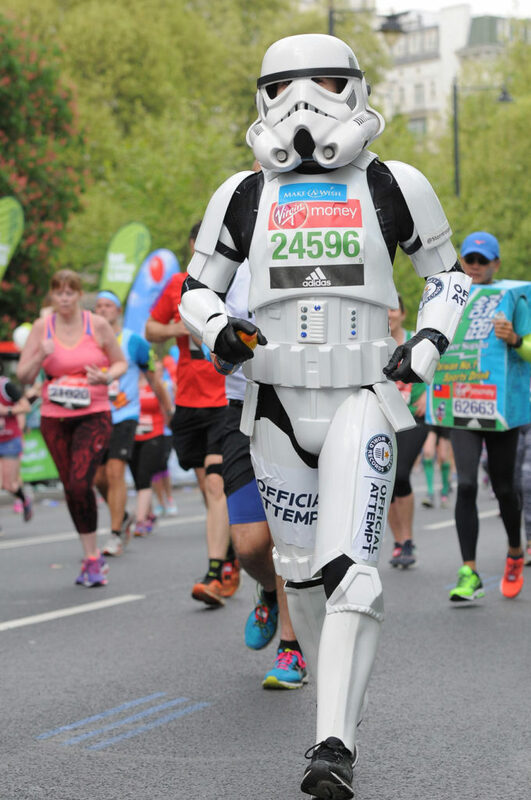 2016 was a big year for the running stormtrooper, a.k.a. Royal Air Force officer Jez Allinson. 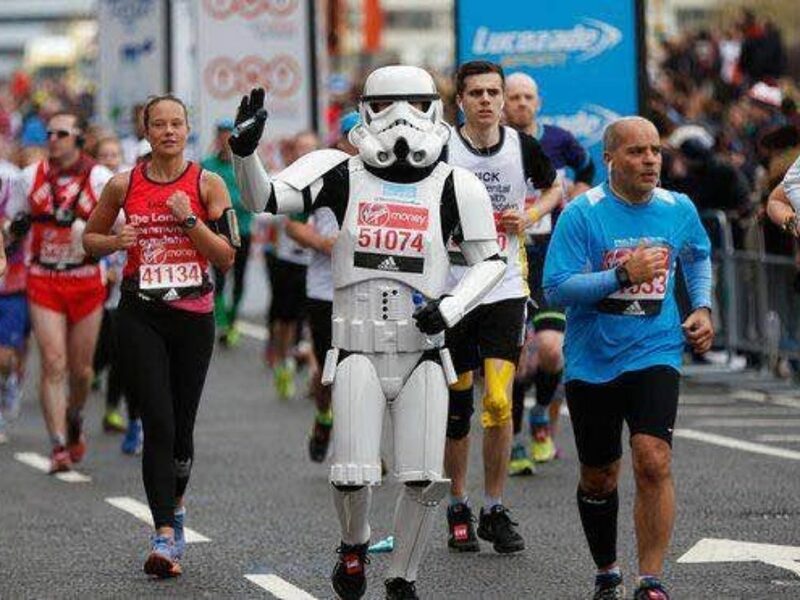 Not only did he run the London Marathon on May 24, 2016, raising £5,355.92 for Make-A-Wish Foundation UK and their Make a Star Wars Wish initiative, but he also put himself on the radar of Star Wars fandom in the UK and abroad. It was a superb effort, which StarWars.com featured, but for Jez that was far from the end of the story. Spurred on by the great reaction to his London Marathon run and going over 200% beyond his target of £2,000, he made plans to not only match but exceed his 2016 efforts. 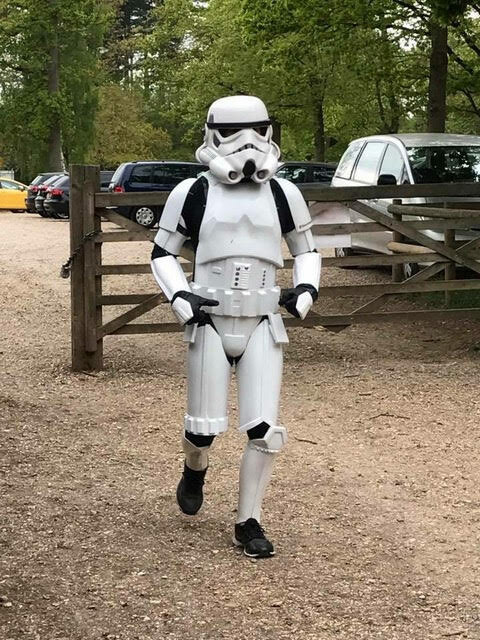 Jez would compete in three separate runs — and StarWars.com spoke to Jez about his mission, just in time for today’s celebration of Global Running Day. 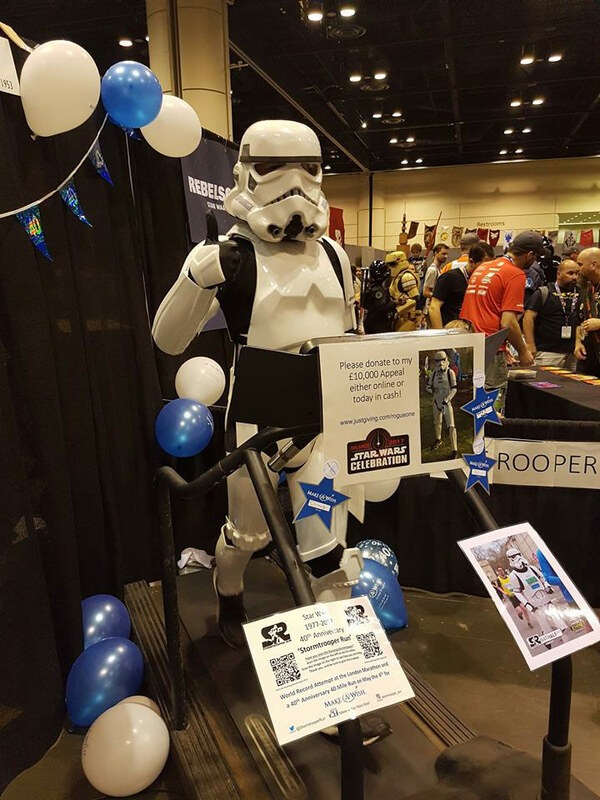 Part one of his mission took him across the Atlantic to Orlando and Star Wars Celebration, where he raised money by running on a treadmill. 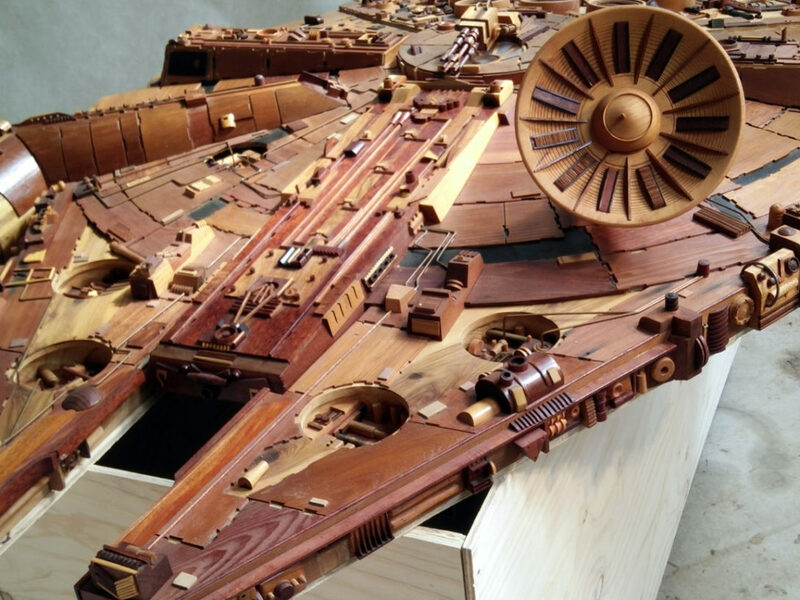 StarWars.com: You did a magnificent job last year of raising money and awareness. So what inspired you to do it all again in 2017? 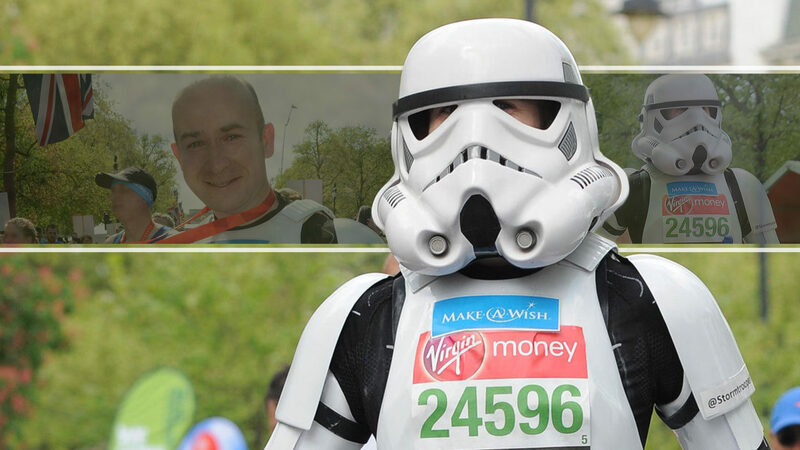 Jez Allinson: It was a fantastic opportunity to raise awareness of Make-A-Wish and the Make-A Star Wars Wish project. I’m extremely grateful to Lucasfilm for taking a chance on me and allowing me this opportunity. StarWars.com: When did this idea first germinate? Jez Allinson: I had been planning for this ever since the first e-mail from Pete Vilmur explaining that I would be at Celebration Orlando. I spent seven weeks trying to convince people to lend me a treadmill, and finally at the 11th hour I was able to borrow one from the Orlando PD. I have to thank to the 501st for helping make this happen. I didn’t know until landing at Orlando airport that it had been delivered! 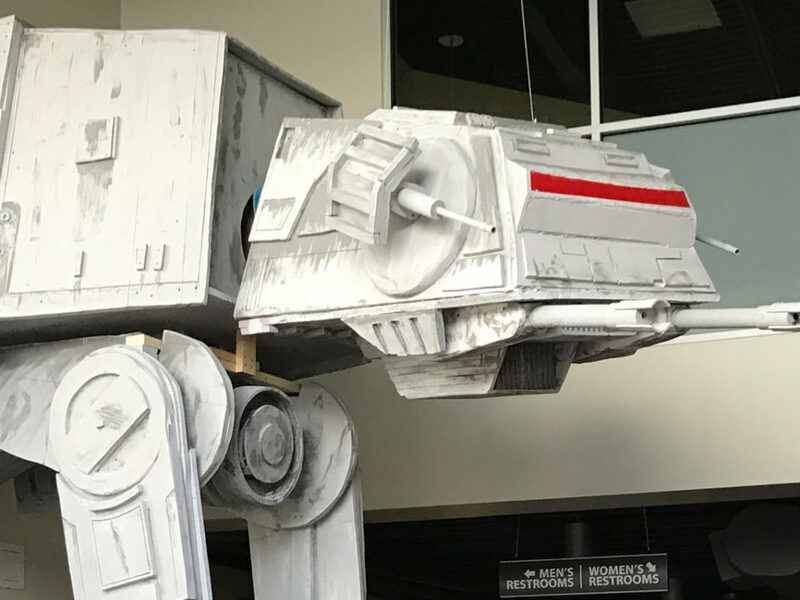 StarWars.com: So how did Celebration Orlando go? Jez Allinson: I was manning booth 1953 for four days. It was in a prime location and, as promised, I ran a half marathon each day on the treadmill. The booth was decked out with banners, balloons, posters and information about Make-A-Wish. I had vinyl Make A Star Wars Wish wristbands made to give out for a small [voluntary] donation, free photo ops, stickers, and balloons for the kids. I found that when I was running the donations came in thick and fast, but when I wasn’t running it dried up. Because of that I spread my running out during the day. I’d run for 10 minutes, then stop for 20 minutes, then run another mile and then stop for 20. This meant I was able to spread the distance over several hours, which maximized my charity fundraising opportunities. With the exception on the first day I raised over $1,200 every day and raised a total of $5,228 over the four days of the convention. StarWars.com: You were very visible on the convention floor and you also managed to get seen on the live stream. Jez Allinson: Yes, I was over the moon when I was contacted by The Star Wars Show asking me if they could do a field interview. I also found out that Nathan Hamill had put a video of me running on his Instagram and I was told that Riz Ahmed walked past my booth and took a snap, which is very cool. Celebration was a big success. Jez travelled back across the Whale Pond to the UK for the second leg of his fund-raising venture, revisiting the London Marathon. 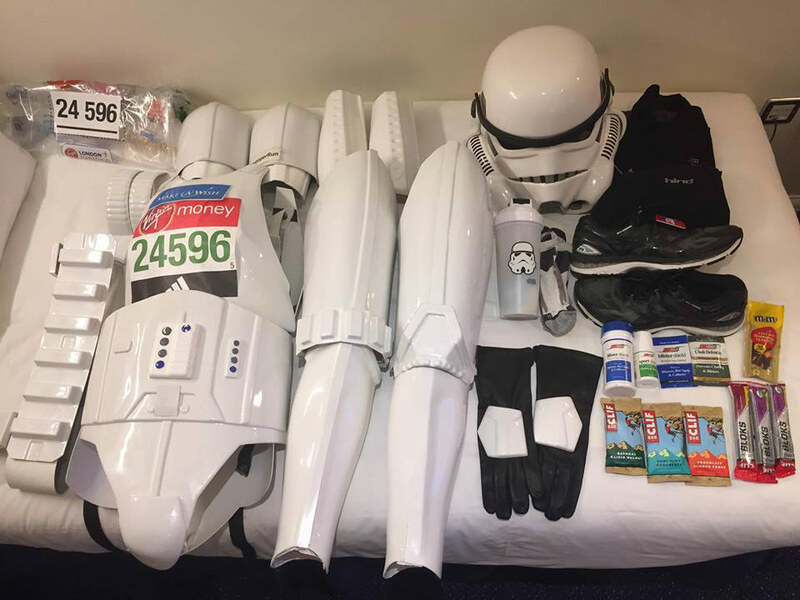 StarWars.com: Running so many miles at Celebration, in the heat and in armor is tough enough, and then you took on the London Marathon. How did you get ready for that mammoth task? Jez Allinson: True, Celebration was hardly the best preparation for the London Marathon. My legs were tired, my body was low on carbs, I was jet-lagged, and I was generally fatigued. If I could have chosen the dates I wouldn’t have put them so close together, but I couldn’t miss the opportunity to go to Orlando. I arrived back in the UK on Wednesday morning and 72 hours later I was in London registering for the marathon. StarWars.com: Mentally, that must have been draining. StarWars.com: Runners often say the crowds can pull you the last few miles home. Did they play a part in getting you across the finishing line? 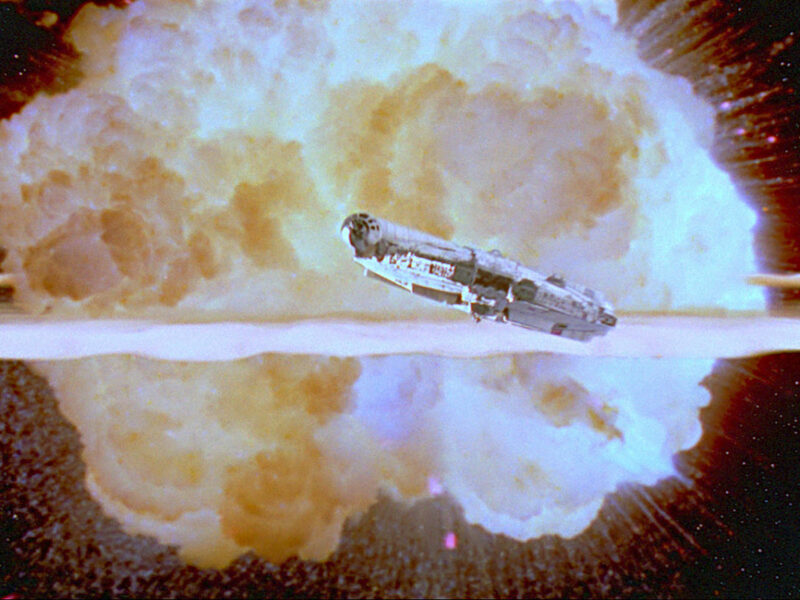 StarWars.com: Did you “hit the wall” at any point? Jez Allinson: At 18 miles, it hit me. For the first time ever, I hit the wall! My legs turned to lead, I had nothing left in the tank, and my hopes of taking the record were fading fast. From then on in it was even more of a mind game. I was having to stop to smash my legs down to get the blood flowing in my muscles and I was really conscious of people falling down around me every once in a while with cramp. It wasn’t nice. I had to keep my helmet on for every step of my run, which is a Guinness World Record rule. That meant that I had to stop to eat and drink as opposed to drinking and taking on water as I ran. I ended up stopping a lot towards the end of the run and taking on whatever sweets, chocolate, and fruit I could get my hands on. 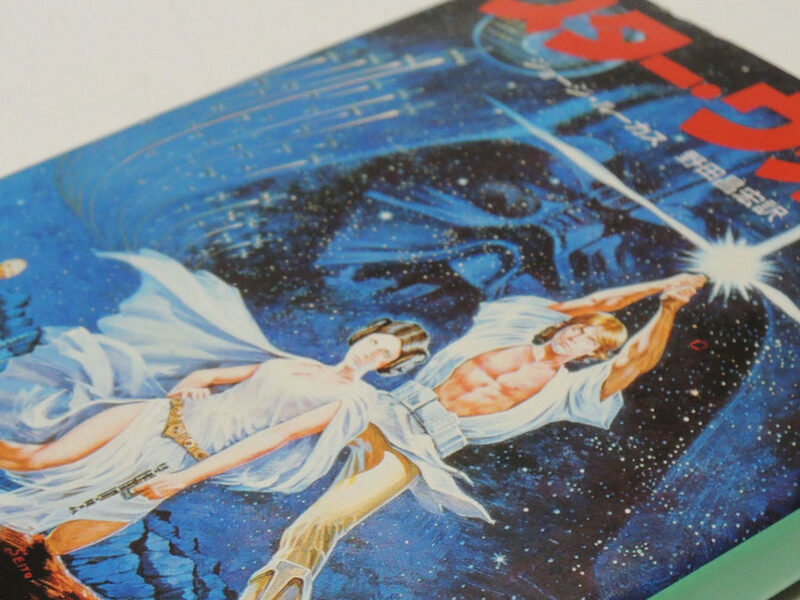 StarWars.com: When did it dawn on you that you were going to break the record? Jez Allinson: When I got to the 23-mile point, I knew I had it in me to finish, but I could see the clock counting down fast. When I rounded the final corner at Buckingham Palace and had 200 meters to go, I could see the clock. It really was going to be close. When I passed the line I didn’t know what to think, the emotions became all too much. I was very quickly grabbed by a smart man in a blazer and trousers from Guinness who congratulated me and told me I’d done it. I’d set the record with just 47 seconds to spare! I was made to pose for a few photos and then left to get my finishers goodie bag. I kept my helmet on as I could feel myself totally getting teary. I was drained of all energy and I was emotionally done in. 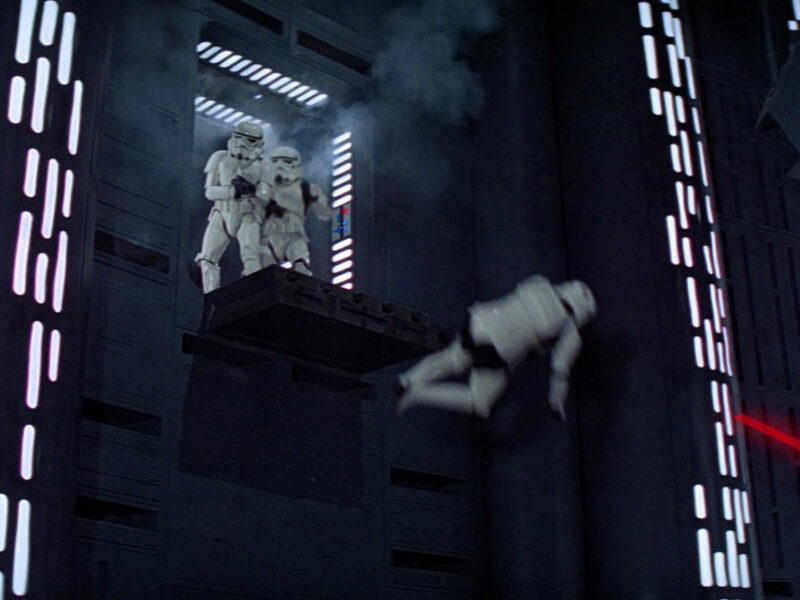 I removed my helmet and thought, “Well, if someone ever wanted to see a crying stormtrooper, now’s the chance.” I wasn’t ashamed, I just simply had no energy left to care. StarWars.com: It sounds like this really took everything you had to get it done. Jez Allinson: I’ve never felt so tired in my life. I’ve run marathons before, I’ve run longer distances, but I’ve never had to run so hard in my life. Jez then turned his attention to the third and final part of the challenge. Forty miles around Black Park, near Pinewood Studios. 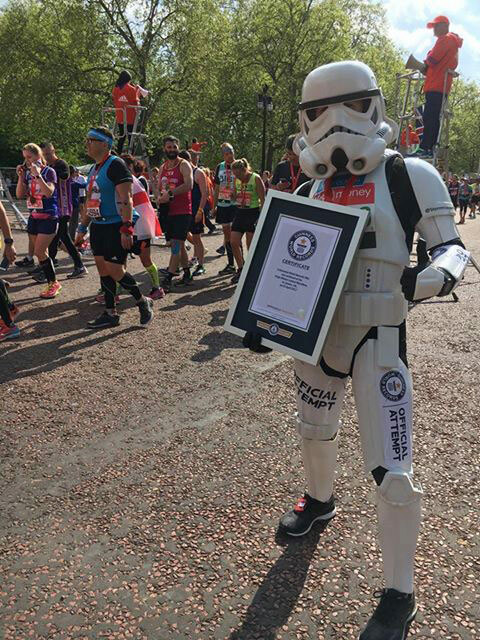 StarWars.com: So, you’d run at Celebration, then less than a week later, ran the London Marathon for the second year, and finally you prepared to tackle what was arguably the biggest challenge of all, 40 miles around Black Park near Pinewood Studios. Were you mentally prepared for this? Jez Allinson: Even though this was a much longer run I felt much more confident. I was more prepared, better rested, and had fueled up on pasta all week. The day of the run came and I drove to Black Park with my good friend and fellow Vintage Rebellion podcaster Grant Criddle. 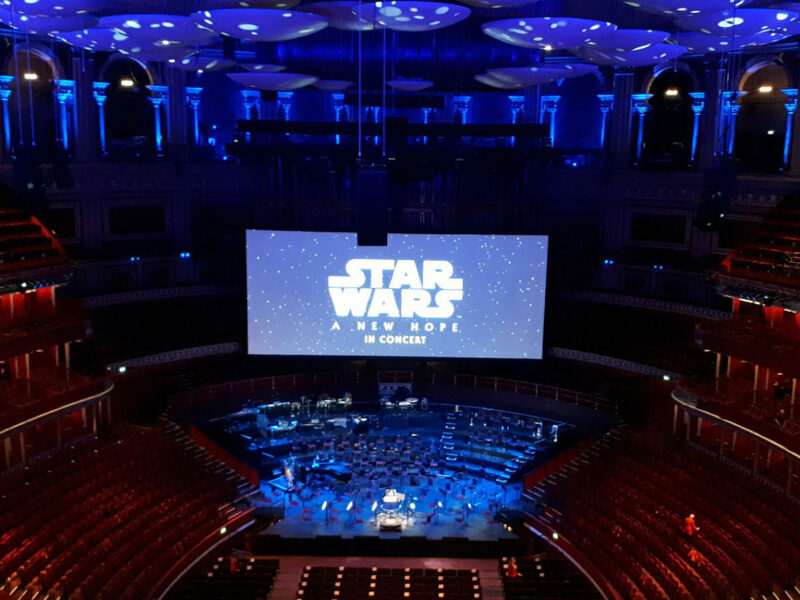 We were joined by several members of Star Wars Forum UK, Stu Skinner, Stephen Savory, Marc Hockley, Darren Petford, and Peter Lee. We were even joined by Brian Muir, the man who sculpted the original Darth Vader helmet, and his wife Lindsey. StarWars.com: What time did the run begin? Jez Allinson: I began running at 7:45 a.m. and soon started building up the miles. Everything was going okay until I had one fairly big fall at the 8-mile point, but apart from that I was fine. Stephen Savory was very good at nagging me to drink and eat at every opportunity, and he even applied a dressing to a rather large blister at the 20-mile point. Some of the members of the support crew took turns to join me and keep me company for a few miles. After three unscheduled stops for live radio interviews I found myself about 30 minutes behind my target, but after a 10-hour day that’s not too bad! StarWars.com: And then the final mile at Pinewood Studios. Jez Allinson: Yes, at the 39-mile point I was escorted from Black Park through a side gate to Pinewood Studios, where I was joined by a small team of Pinewood staff and some of my support crew. We enjoyed a lap of the studio, soaking up as much atmosphere as possible, until we rounded the last corner, where I was joined by my wife and children and Oliver Ball, a young Make-A-Wish recipient who was dressed in his very own Biker Scout outfit. We all ran the last 100 meters together and crossed the finishing line to cheers and a huge confetti cannon. I had invited Oliver as I was really moved by his story and wanted to give him a second wish. The community really rallied around [him] and, prior to the day, they all contributed to a huge toy chest full of Star Wars toys to spoil him. Oliver was given the VIP treatment around Pinewood Studios and got to see a few things, plus he had a quick photo with a very special Star Wars hero. StarWars.com: You’re a famously modest guy, but looking back, how do you feel about your accomplishments? Jez Allinson: I was absolutely delighted that I had smashed my target of £10,000 and so happy that Oliver had had a great day. I’d like to thank Lucasfilm, Kathryn Donovan at Pinewood Studios, my support crew, and my biggest supporter — my wife Jules. 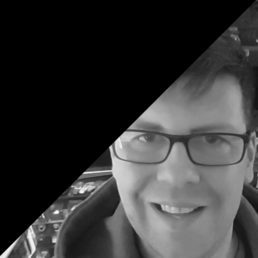 Mark is the owner of Jedi News, has written for Star Wars Insider and Build The Millennium Falcon partwork, and co-hosts RADIO 1138 and Take Cover on the Jedi News Network. 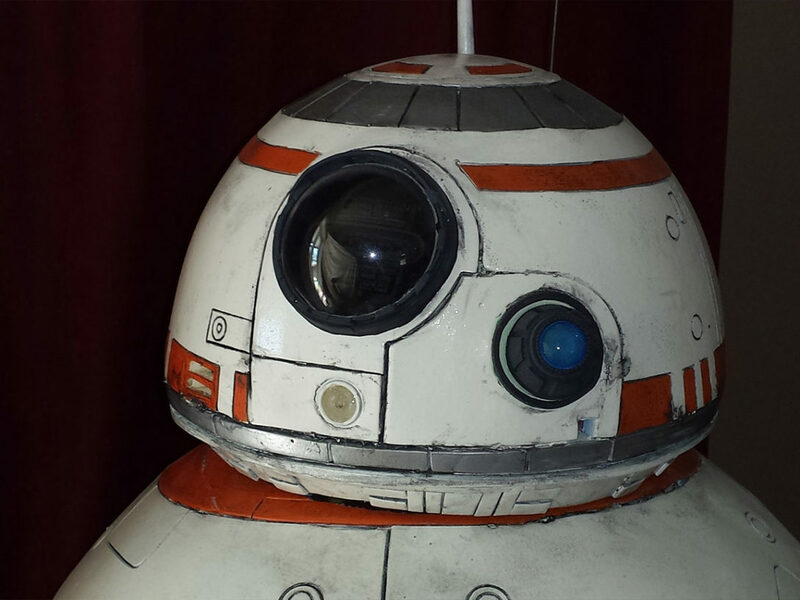 He’s an honorary member of both the 501st and the Rebel Legion and when he’s not talking, tweeting, or writing about Star Wars, he can usually be found sleeping, where he’ll most likely be dreaming about Star Wars.